Kodak Digital Cinema and REAL D announced today that the companies have formed a strategic alliance to roll out digital 3-D cinema throughout Australia. 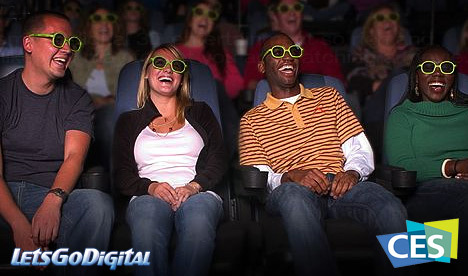 Installation of digital 3-D cinema systems will be complete in time for the country's upcoming premiere of Disney's "Chicken Little" in 3-D starting January 1, 2006. Kodak Digital Cinema has a legacy of innovation in entertainment imaging and offers a complete solution for digital preparation and display of motion pictures. Over the past 10 months, the company has prepared, delivered, and shown major releases for a number of studios, including Disney, Fox, Warner Bros. and others. REAL D is the worldwide inventor and provider of key stereoscopic technologies used in entertainment, marketing, science and other industries. REAL D Cinema is the entertainment industry's preferred standard for the delivery of premium 3-D cinema experiences and is the exclusive provider of Disney's "Chicken Little" in 3-D. As of Thanksgiving weekend, REAL D's presentations of "Chicken Little" in 3-D have grossed more than $7 million on 88 screens - almost three times the 2-D per-screen average - since its November 4th opening in North America. This alliance allows Kodak to offer exhibitors the industry REAL D Cinema solution as part of Kodak's comprehensive digital cinema strategy. For this international launch, Kodak will provide the systems, including Kodak CineServers driven by unique Kodak software, as well as Barco DP100 projectors equipped with the REAL D Cinema solution. Installation will be a joint effort by Kodak, Barco, and Atlab Image and Sound Technology. 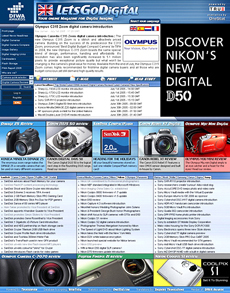 Kodak will provide all image preparation, as well as on-going service and support. "This is the next logical step forward for Kodak Digital Cinema - and a major leap for Kodak into the world of high-quality 3-D motion pictures," said Bob Mayson, general manager and vice president, KODAK Digital Cinema. "Kodak has worked with Disney on a number of 3-D films in conjunction with their theme parks, but this is our first adventure in 3-D digital. We're thrilled to be working with REAL D because they're pioneers of 3-D."
Kodak strategic alliance for 3D Cinema - "We look forward to working with Kodak to address the digital 3-D needs of the global exhibition community, which have escalated as a result of the historic success of REAL D Cinema's presentation of "Chicken Little" in North America," said Michael V. Lewis, chairman, REAL D. "Our alliance with Kodak better enables REAL D to meet increasing international demands, beginning with our Australian theater partners." Chicken Little in 3-D is proving to be more than a movie, it's a brand new entertainment experience," said Mark Zoradi, president, Buena Vista International. "We're thrilled to be working with Kodak and REAL D to bring that experience to a wider audience and, in the process, to bring new excitement to the future of theatrical entertainment." Kodak said that the sites chosen were suggested by the exhibitors themselves. 3D technology in traditional cinemas - "This is a first use of digital 3-D technology in traditional cinemas in Australia," said Mayson, "and a great opportunity for Kodak and REAL D, as well as all our partners. Our exhibitors bring a highly-successful Disney movie to their part of the world. And, audiences get to enjoy an entertainment experience that's unique to the cinema. Everybody wins."